While most newborns transition to extrauterine life easily, some require assistance and others require extensive intervention. 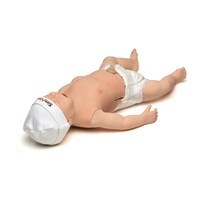 SimNewB® provides the opportunity for healthcare providers and learners to practice effective resuscitation skills of a full term neonate focusing on the first 10 minutes of a newborn’s life. It allows the NICU team to respond to clinical interventions that reflect real-life events through the use of simulation and pre-programmed scenarios. 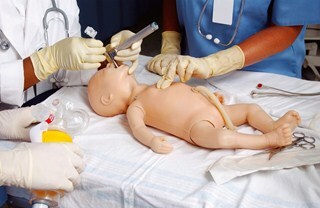 Developed in collaboration with the Academy of Pediatrics SimNewB is equipped with essential airway, breathing and cardiac features, to help address critical skills development. The SimNewB simulator focuses on team training for critical problems in the delivery room and can prepare for these unexpected, high-risk event. Available with a wide range of Technical and Educational Services as well as validated simulation content, SimNewB presents a complete training solution for newborns. Whether using the SimPad Plus System or LLEAP PC software to run the SimNewB simulator, the software is easy and efficient to use for scenario based education. The interactive manikin gives immediate feedback to interventions and adjusts to changing parameters during the scenario, allowing learners to think critically and determine the course of treatment. Instructors are mobile and SimPad PLUS provides optimal data capture for debriefing making training more clinically relevant. Customizable scenarios and real-time instructor controls allow scenarios to be adapted and developed to your unique learning objectives. 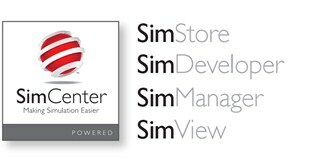 SimCenter offers easy access to validated content from the AAP and worldwide simulation experts so you can take advantage of their experience and get the most from every learning opportunity. From simulator installation, routine preventive maintenance, product orientation and operation through to helping you realise your learning objectives and incorporating scenarios, Laerdal Services are available to help make your simulation-based training program a success.